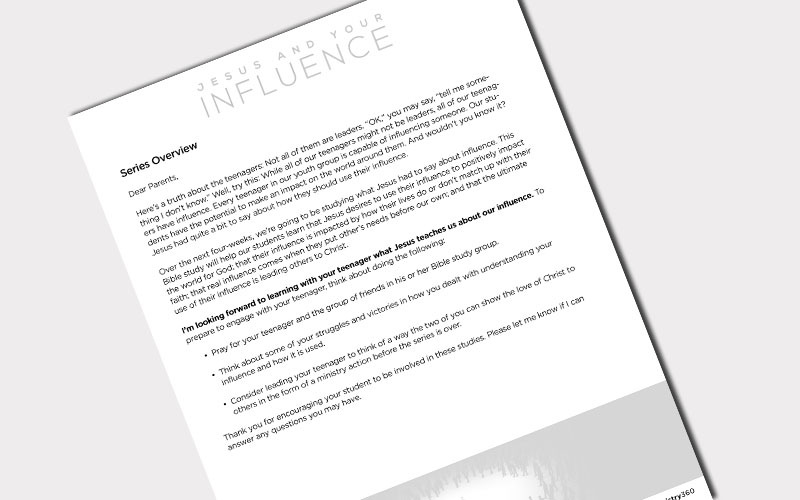 Part of The Jesus Studies, teach Jesus And Your Influence to help your teens see what Christ had to say about this particular theme through a biblical lens. Here’s a truth about the teenagers in your ministry: Not all of them are leaders. 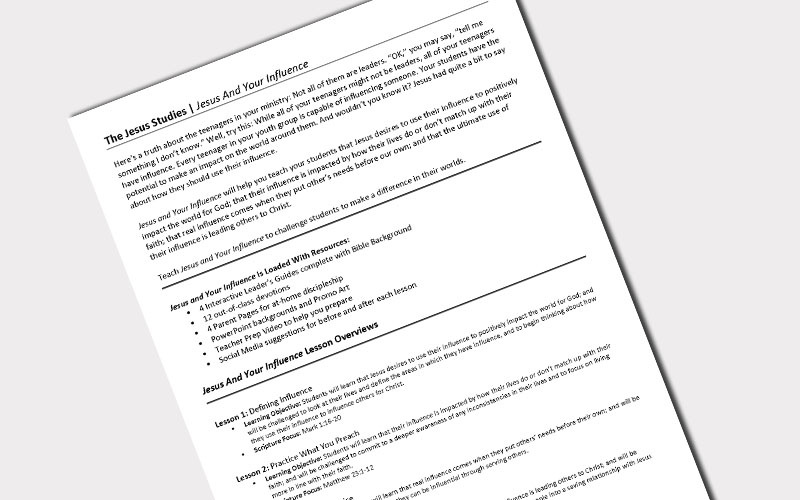 “OK,” you may say, “tell me something I don’t know.” Well, try this: While all of your teenagers might not be leaders, all of your teenagers have influence. Every teenager in your youth group is capable of influencing someone. Your students have the potential to make an impact on the world around them. And wouldn’t you know it? Jesus had quite a bit to say about how they should use their influence. 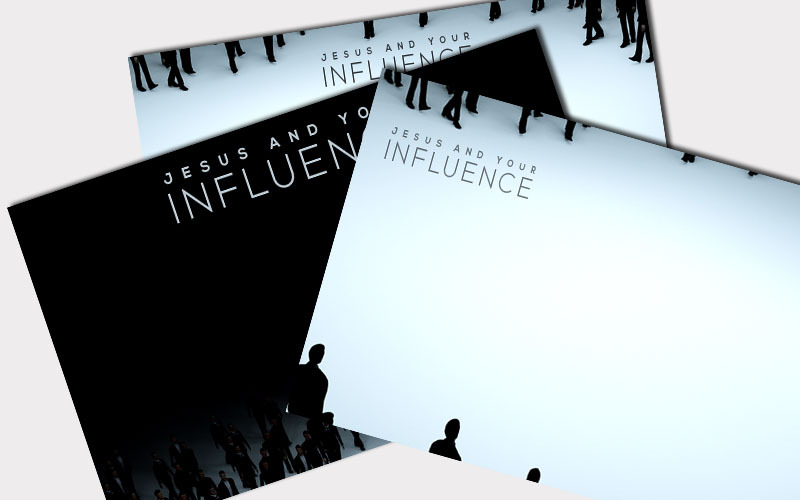 Teach Jesus and Influence to challenge your teens to make a difference in their worlds. 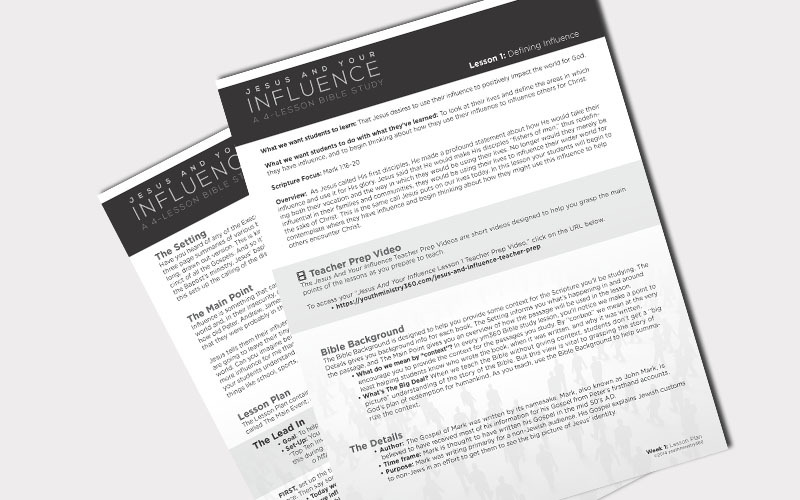 Each "Jesus" study lesson features a Teacher Prep Video, a short video that guides your teachers in exactly what to focus on in their lesson preparation. 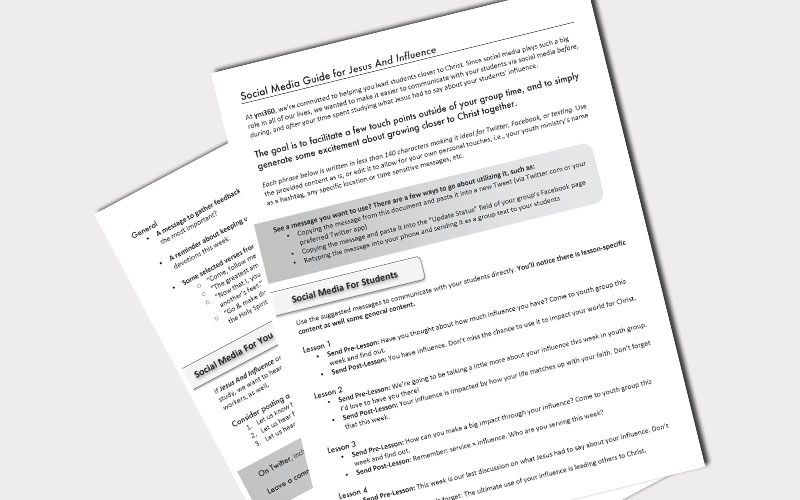 Each "Jesus" study comes with Social Media Suggestions to help you make connections via social media outside of your group time. An assortment of content to choose from. Ideal for Twitter, Facebook, or text. 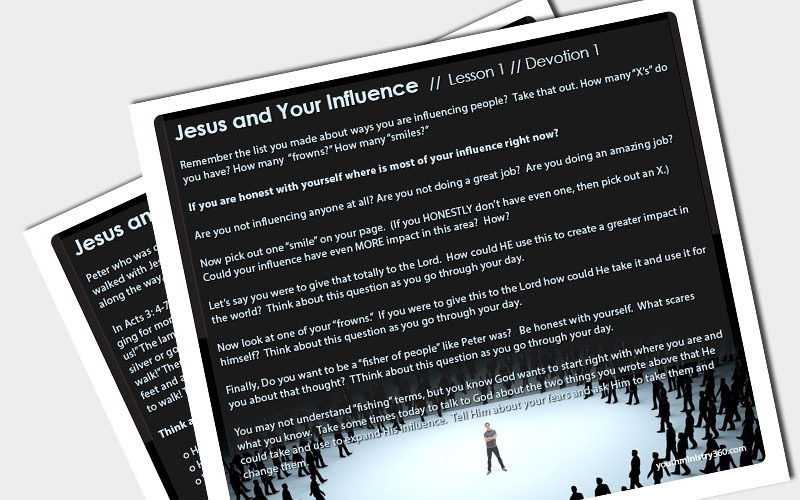 Each "Jesus" study comes with three background images sized to fit PowerPoint or any other presentation software you use. Use the backgrounds to create customized slideshows to accompany your lessons. 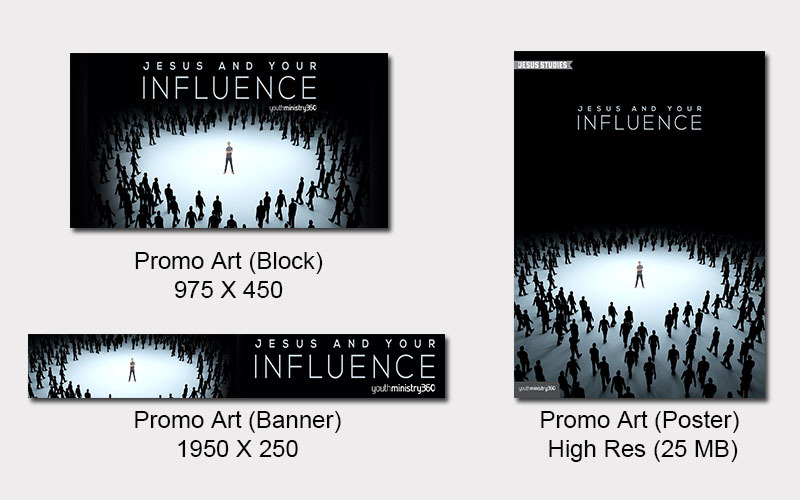 Every "Jesus" study comes with artwork to help you promote your study on the web or around your church.